Perma-White® mould resistant interior paint contains a biocode that protects the dried coating against fungal degradation*. The paint film is designed to resist cracking, peeling and blistering for up to 7 years before first maintenance. Perma-White® bonds to existing solvent-based or glossy paints. 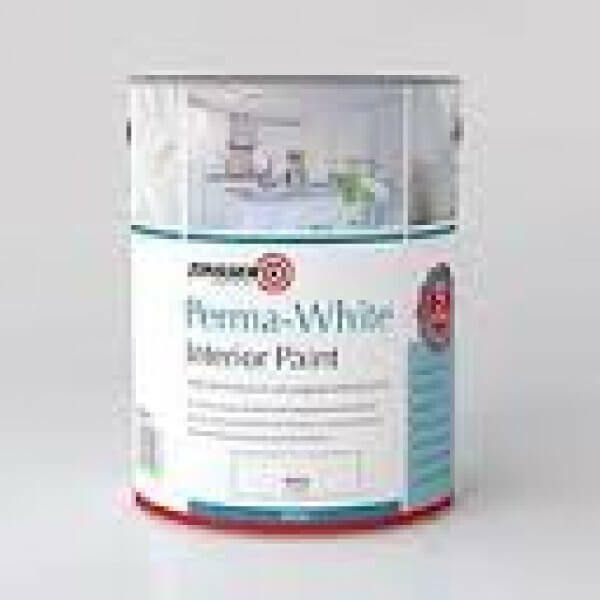 Perma-White® also seals flat paint, new drywall, cement block and concrete. It is ideally suited for any area of persistent high humidity, frequent temperature changes and poor air circulation. Perma-White® Interior Satin Paint - A scrubbable, satin finish recommended for high-humidity areas that are subject to challenging wear and tear. Ideal for bathrooms and laundry rooms.